The group that organized the protest posted Carlson's home address online. He has a wife and four kids. 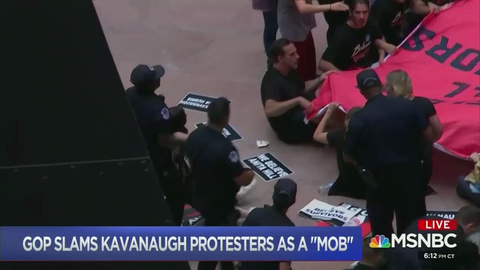 WATCH: Do Leftists Have a Mob Mentality? The Left, the Left, Oh, the Left. So many people have noticed when leftist congregate there always seems to be a sense of - how do you say?… Mob mentality? Oh yes, that’s it, mob mentality. If there is one thing we must all admit to, it is that we are moving away from the rule of law and more towards mob rule.